Every brand takes a different approach to customer engagement. And through our original studies, we’ve found that diversifying your approach is a good practice. As your brand evolves, you’ll learn more about which marketing strategies work best for you and your customers. This should give you some incentive to experiment a bit with your Campaigns. It’s a great time of year to start ramping up for a busy summer season, so why not try running a two-part Campaign? Essentially, a two-part Campaign means running two Campaigns simultaneously. Each part has a different goal; together, both Campaigns are part of a larger effort. Any type of Campaign works well for this, but it’s best to keep it simple, such as combining a coupon Campaign and a booking Campaign. Consider your goals: Let’s say you want to promote a product that hasn’t been promoted much, and you also want to create some engagement with your brand for new users. These two Campaigns target existing and new users and allow you to collect information for different purposes. Running two Campaigns also gives you a good chance to post the Campaign to different platforms. Our data shows that omnichannel Campaigns—meaning, Campaigns posted to more than one platform at a time–such as Facebook, Twitter and embedded to a website—receive higher engagement than Campaigns published just to one platform at a time. If you’re not sure which platforms work best for your Campaigns, check out this resource. 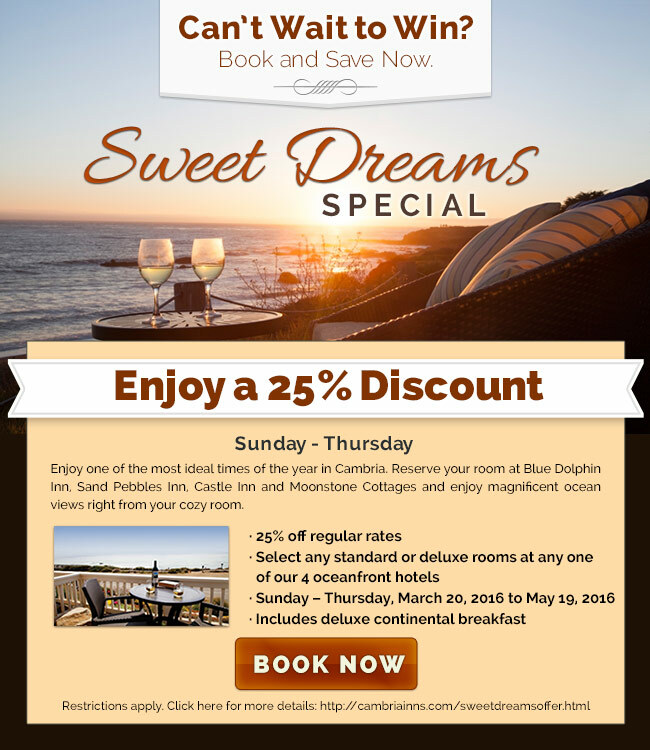 To put this concept into practice FreshBuzz Media built a two-part Campaign for Cambria Inns: a vacation giveaway plus a discount on room rates. This approach allows them to highlight their services during the spring, the off-season, before summer starts. The promotional Campaign does this by providing a discount on room rates for a set time period. This Campaign is simple; it contains a Rich Text Widget, and a “book now” button, which leads to a signup form. The appeal of the Campaign comes through the custom images they’ve created for this purpose. The giveaway is equally simple, although the purpose is different. The live Campaign contains a form which people fill out to enter for a chance to win a vacation. The form gives Cambria Inns an opportunity to add to an existing email list. The bottom of the Campaign contains links to virtual tours on their website, which helps get participants excited about what they can win. To make their Campaigns consistent and retain brand awareness, they use the same typography on both Campaigns. Although each Campaign is separate in purpose and goal, they’re both clearly part of one company. This is a terrific examples of a two-part Campaign!